The Founders and Agents of Portland Benefits Group bring over 100 years of insurance industry experience to serving our clients needs. Over these many years of experience, we have worked in all the different kinds of insurance sales offices, from being independent agents to working for large carriers and brokerages. We saw firsthand the shortcomings of each of those approaches. Small, independent agents don’t have the wide range of products and services to offer, and in larger agencies, and especially in the large call centers that have sprung up, agents come and go so fast you never can reach the agent who helped you, you don’t get truly personalized service, and the broker owns the business, so even if your agent is still there when you have a question or need help with your policy, they have no incentive to continue to service the policy they sold you. We decided to build an agency that offers the extensive products and services of a large agency, with the personalized service of an experienced agent who is your agent and always will be. David Taxer founded Portland Benefits group in 2012, drawing upon his years of experience in the insurance field and his expertise in health policy. Mr. Taxer has been on KATU, KGW, The Oregonian, and Lars Larson to discuss health and insurance policy both in Oregon and the nation at large. Mr. Taxer strongly believes that the secret to success is integrity and surrounding one’s self with excellent people. Portland Benefits Group’s success is a testament to those ideals. 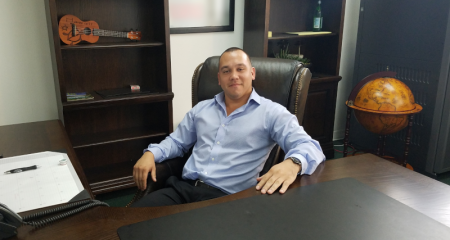 Chris Wang joined forces with David as a top selling agent who wanted to improve the client experience by training agents how to sell ethically and effectively. One of the nations’ leading agents by volume of production, Chris has been in the insurance field longer than the ACA has been around. We are committed to finding the best coverage at the most affordable rates, and doing so in a manner that addresses your needs in an ethical manner. When your car breaks down, you take it to a mechanic. If your bathroom is flooding with water, you call a plumber. We are experts in the field and offer our services free of charge to our clients. We do not charge broker fee’s or add anything extra to the cost of the plan. We are an unbiased broker, which grants us the opportunity to really find the plan that suits YOU. Many other agencies out there push a specific product that pays the most. We do whats right for you and we have all the options. By offering as many “A” rated carriers we can make sure we offer the best prices in the industry. Many prices are set and mandated by the carrier, but since we do not charge any additional fee’s to you we can offer a lower enrollment cost compared to other agencies that just want your money. Shopping for new coverage is confusing, there is a lot of consider. Allow our trained professionals to make the entire process as simple as possible. We will go through and find the best fit for your needs and explain benefits in a manner that leaves you well informed and feeling good about your decision. Our highly trained agents are there to understand your current situation. Are you in the middle of losing your coverage? Did you just recently move? Are you just paying too much for your existing plan? The first step in our process is understanding what you need. Once we understand what your needs are, the next step is showing you options. Based on your situation we will offer realistic solutions to address your concerns. Since we are brokered with all of the major carriers we will have a plan that can fit anyone’s need. We found a plan that works, now what? Our agents will then take you through the enrollment process and make the transition as easy as possible. Not only do we make shopping easy, but we make the enrollment a breeze as well. Don’t worry about filing paperwork the correct way, let us do the heavy lifting for you.